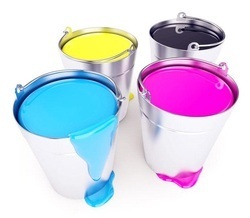 We offer a varied series of Paper Gloss Ink. Moreover, professionals also check this product on different industry principal. 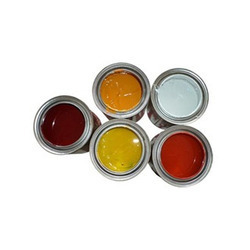 We offer top quality grade reverse printing PVC Gloss Inks which are fabricated of premium quality raw material in compliance with international standard. The collection is characterized with excellent adhesion properties and an excellent gloss and depth. These inks are suitable for printing on opaque or transparent PVC Toys, PVC Banners, PVC Stickers, Papers and Coated Boards etc. Applications: Flexible packaging of all kinds, plastic foils and container, glass, labels, cosmetics, toys, etc. Our company holds vast experience in this domain and is involved in the offering of Paper Gloss Ink. These Inks are Oil based and yield excellent gloss impressions with better adhesion on paper, board, card & metal sheet.